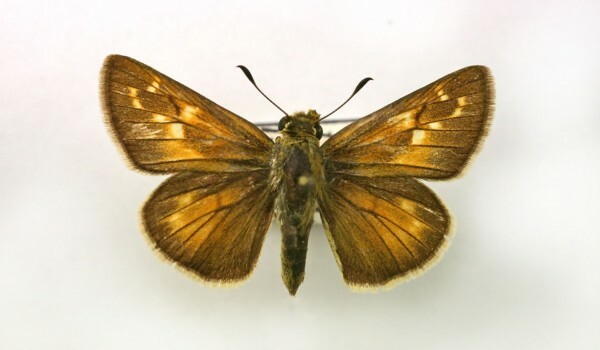 Skippers are named for their distinctive skipping flight pattern. The adults feed on the nectar of a wide variety of flowers. The larvae have huge heads and tiny necks; they tend to hide in leaves. There are about 300 species in Canada. 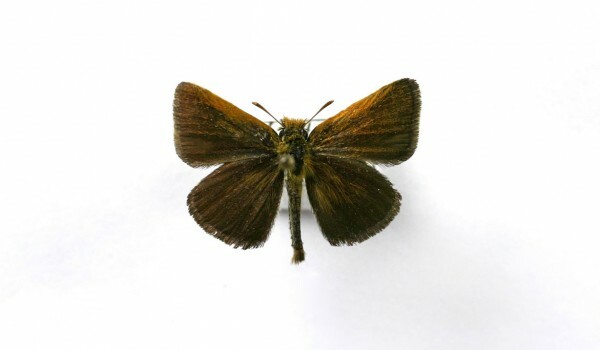 Three of the prairie skippers, the Dakota Skipper, Ottoe Skipper and Poweshiek Skipperling, are so rare that they are legally protected. Males locate mates by patrolling or by perching and waiting. Females of most species lay eggs singly or in strings on host plants (broad-leaved plants or grasses). Many larvae live in shelters made of leaves and silk, feeding on host plant leaves. They generally over-winter as eggs or larvae, often at the base of host plants. Adults emerge in spring or summer and feed on flower nectar. 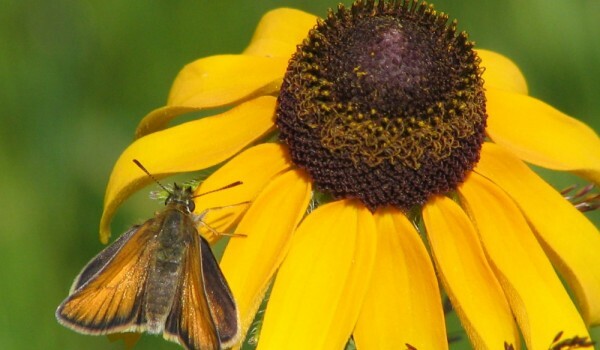 The Dakota Skipper, Ottoe Skipper, and Poweshiek Skipperling, are protected under Canada’s Species at Risk Act and Manitoba’s Endangered Species Act. 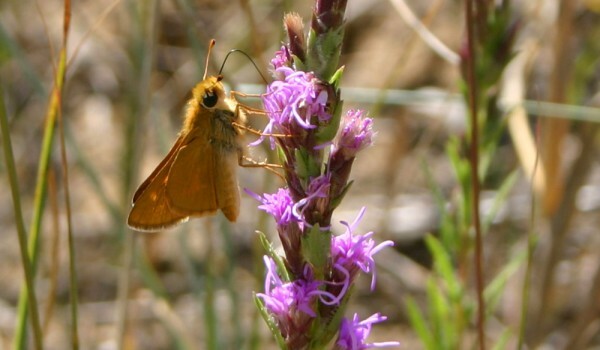 The Dakota Skipper is protected under Saskatchewan’s Wildlife Act. 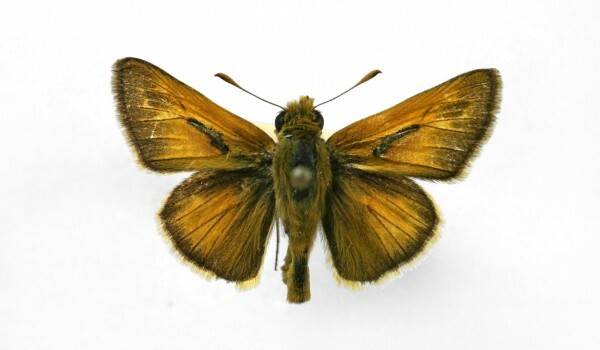 The adults have hook-tipped antennae and stout, moth-like bodies. The wings are about the same length as the body. 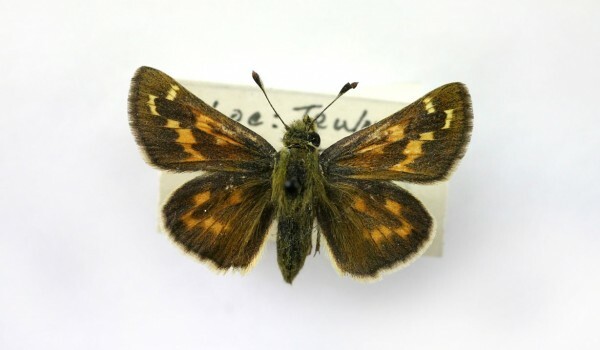 Skippers are typically reddish, brownish, or orange in colour. They occur in a variety of habitats including: native prairies, open woodland, meadows, hayfields, pastures, abandoned homesteads, grassy road edges, sagebrush, swales, limestone openings, edges of bogs, light gaps along streams, and city parks.